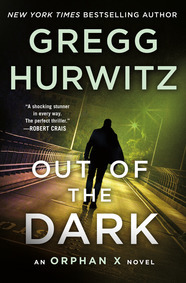 Gregg Hurwitz is the New York Times, #1 internationally bestselling author of 20 thrillers, including Out of the Dark (2019), and two award-nominated thriller novels for teens. His novels have been shortlisted for numerous literary awards, graced top ten lists, and have been published in 30 languages. Gregg has written screenplays for or sold spec scripts to many of the major studios (including The Book of Henry). 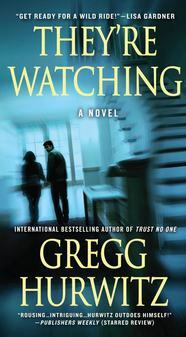 Gregg Hurwitz has also written, developed, and produced television for various networks. He is also a New York Times bestselling comic book writer, having penned stories for Marvel (Wolverine, Punisher) and DC (Batman, Penguin). He has published numerous academic articles on Shakespeare, taught fiction writing in the University of Southern California English Department, and guest lectured for the University of California Los Angeles, and for Harvard in the United States and internationally. In the course of researching his thrillers, he has sneaked onto demolition ranges with Navy SEALs, swum with sharks in the Galápagos, and gone undercover into mind-control cults, among other adventures. 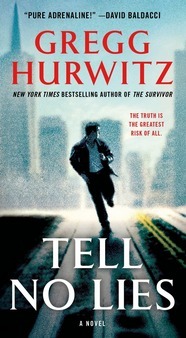 Gregg Hurwitz grew up in the Bay Area. While completing a BA from Harvard and a master’s from Trinity College, Oxford in Shakespearean tragedy, he wrote his first novel. He was the undergraduate scholar-athlete of the year at Harvard for his pole-vaulting exploits, and played college soccer in England, where he was a Knox fellow. He now lives in Los Angeles, where he continues to play soccer, frequently injuring himself. Follow Gregg on Facebook and Twitter. Evan Smoak is a man with skills, resources, and a personal mission to help those with nowhere else to turn. He's also a man with a dangerous past. Chosen as a child, he was raised and trained as part of the off-the-books black box Orphan program, designed to create the perfect deniable intelligence assets---i.e. assassins. He was Orphan X. Evan broke with the program, using everything he learned to disappear. Now, however, someone is on his tail. Eve Hardaway, newly single mother of one, is on a trip she's long dreamed of―a rafting and hiking tour through the jungles and mountains of Oaxaca, in southern Mexico. Eve wanders off the trail, to a house in the distance with a menacing man in the yard beyond it. Now the man in the woods is after whoever was snooping around his house. With a violent past and deadly mission, he will do anything to avoid being discovered. The one-time scion of an old-money San Francisco family, Daniel Brasher finds an envelope intended for someone else. Inside is an unsigned piece of paper, a handwritten note that says, “Admit what you’ve done or you will bleed for it.” The deadline in the note has already passed, and when Daniel looks into it, he finds that the person to whom the envelope was addressed was brutally murdered. But that’s just the beginning. Mike Wingate had a rough childhood―-he was abandoned at a playground at four years old and raised in foster care. Now, as an adult, Mike is finally living the life he had always wanted – until Mike's past comes back to haunt him. All Patrick Davis ever wanted to do was make movies. But after he gets his big break and sells his first screenplay, his life collapses. And just when it seems things couldn't be worse, the DVDs start coming in… ominous DVDs show that someone is watching Patrick and his wife. Then come the emails… Finally, someone confronts Patrick with an offer he can't refuse: To take the mess his life has become and make it all right. Patrick figures it's the offer of a lifetime. But he's dead wrong. Over the past two decades, Nick Horrigan has built a quiet, safe life for himself, living as much under the radar as possible. But all of that shatters when, in the middle of the night, a SWAT team bursts into his apartment and drags him out to a waiting helicopter. A terrorist has seized control of a nuclear reactor, threatening to blow it up. And the only person he'll talk to is Nick, promising to tell Nick the truth behind the events that shattered his life twenty years ago. Research and the Intrepid Writer: New York Times bestselling thriller author, Gregg Hurwitz, is known for doing extensive and often dangerous research in the name of writing. From going under cover into a mind control cult to sneaking onto demolition ranges with Navy SEALS to trekking through the jungles of Oaxaca, he puts himself through what his characters will go through so readers can get the most authentic experience possible. Gregg will share his adventures and discuss how they make their way into his novels. 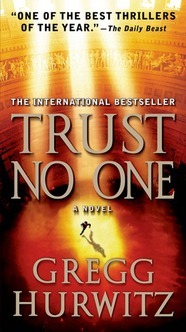 Shakespeare the Crime Writer With a background in Shakespearian tragedy, New York Times bestselling author Gregg Hurwitz is often asked how he came to thrillers. But in reality, Shakespeare was one of the first successful commercial writers, and Gregg borrows many of his writing tactics for his novels. Gregg will discuss the link between Shakespeare’s work and modern day crime novels, and how both influence his own writing. 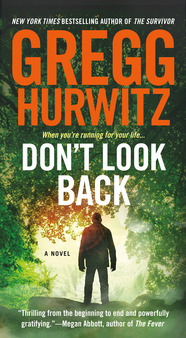 The Art of Hard Work and Resilience New York Times bestselling thriller author, Gregg Hurwitz, is often asked about the secrets to his success. 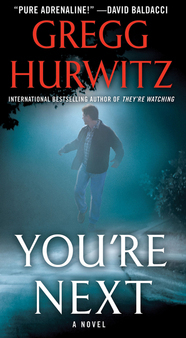 As an author of 15 novels, dozens of comics and screenplays, Hurwitz’s answer is still the same: work. There is no substitution for sitting in the chair and putting words on paper. Gregg will share stories from his path to publication and demonstrate the art of working hard and making your own luck. Gregg sits down with the LA Times to discuss Orphan X, Batman, and plot twists. The Huffington Post talks self discipline with Gregg and fitness icon Denise Austin. 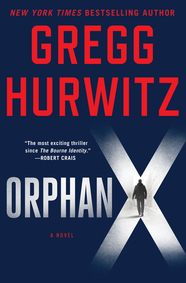 Read more reviews of Orphan X from the Washington Post, and The Amazon Book Review. Find out more about Gregg and follow him on Twitter. 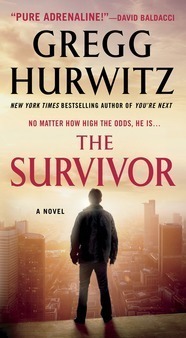 Praise for The Nowhere Man "Hurwitz knows how to put the reader deep in the mind of his hero as the pace never lets up." "'The Nowhere Man' echoes not only of Jack Reacher, but also the TV and film hit "The Equalizer," as well as the work of David Morrell in classics like "Brotherhood of the Rose" that practically created the genre. Superb on all levels and a must-read for all thriller fans." "Gregg Hurwitz isn’t just on the top of his game, he’s struck solid gold with The Nowhere Man, a hard-hitting, near-perfect thriller that starts fast and never lets up."